This was one of those projects where it took me a whole 2 seconds to see it, love it, know I was going to make it. I was wandering around a local farmer's market when I saw these bags at one of the stands. 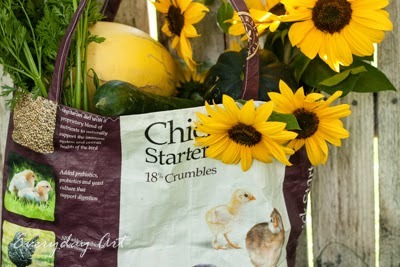 A farmer's market bag from a chicken-feed bag--too cute! 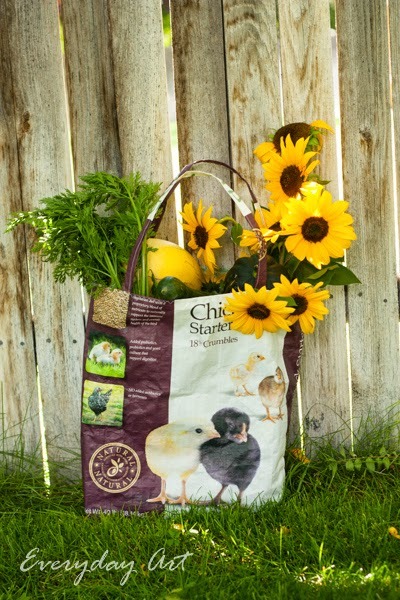 Up-cycling at its best--an old (yet durable, washable, and CUTE) chicken feed bag turned into a market bag. I thought, "well, I have some of those." Then I thought, "ooo, I have one with baby chicks on it!" yay! Once I had two bags, I decided to give it a go (one for me, one for a friend). 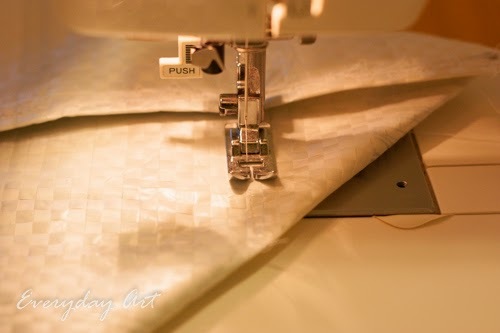 I looked around a bit on the web, checked out the tutorial for the bag Emily showed me how to make, (I think that might have been the first thing I've ever sewn?) and went to town. Step 1. 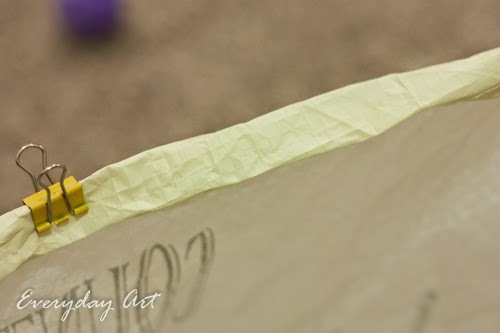 Cut off the top and bottom of the bags. I cut off just an inch or two off the bottom then I good 6-inches off the top. If you want yours more short and stout than mine, cut off more! 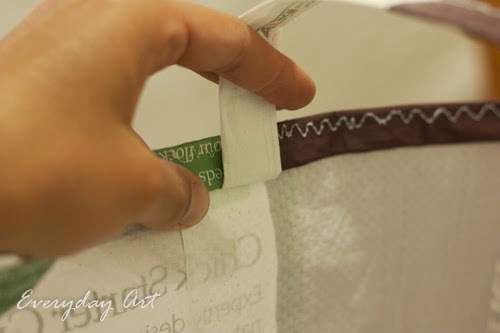 Make sure and center your cuts around what you want showing on the outside of your bag. Step 2. 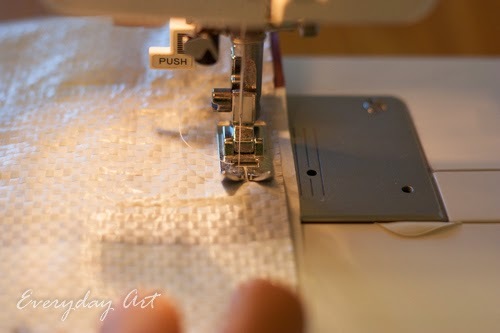 Sew the bottom shut as shown below. Just a simple, strait-across stitch. Step 3. 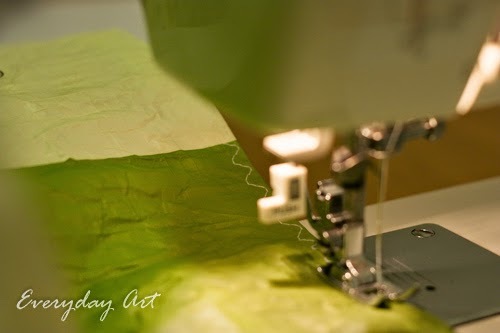 Now, fold that bottom you just stitched up and sew it again. Now the bottom of the bag is complete. Step 5. 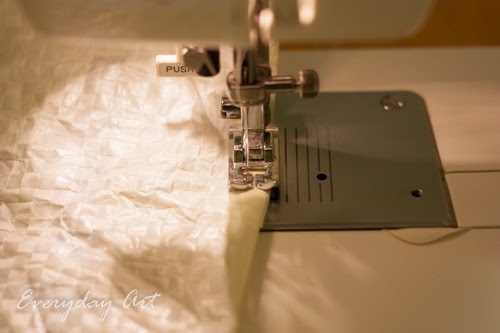 I folded down the top and sewed a seam all across the top. Step 6. 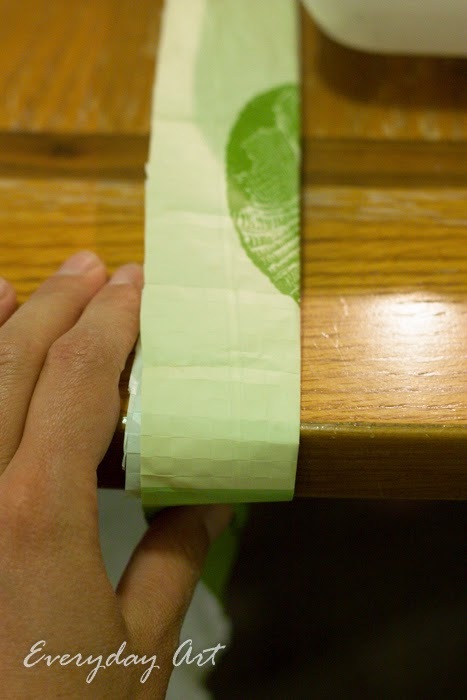 Now, fold down the top 2 times. 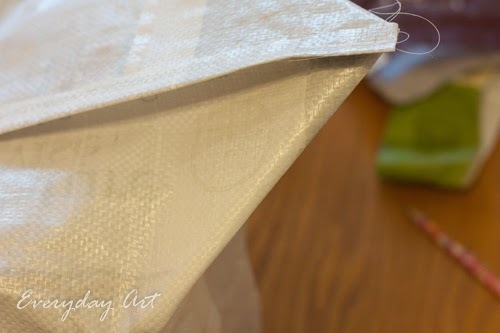 Fold the seam you just sewed to the inside (I had to secure it with paper clips) and then fold it down again to hide that seam. Step 7. 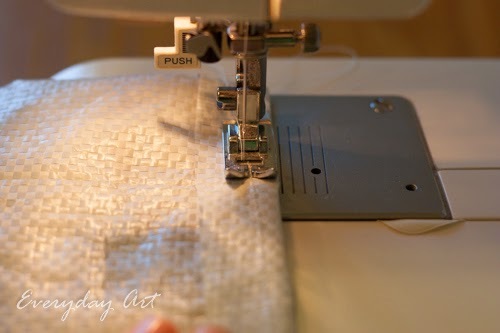 Sew across this to secure it. I decided to do a decorative stitch mostly since it'd be wide and hold it down really well. 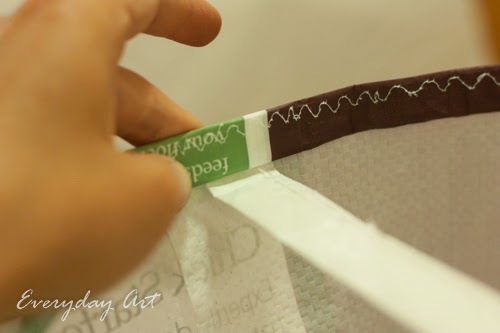 Sew right across the top though--you'll want to leave a little flap on the inside all the way around to sew your handles into. Step 8. Now for the handles. I sorta hated this step. I mean, your bag is finished! Buuuut you still have quite a bit more work to do in order to make it usable. So, here goes. 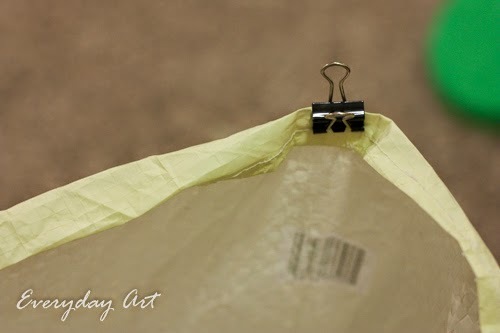 Take your extra bag material that you cut off the top or the bottom (the 6 inches or so). Now, I cut mine to be about 3-inches wide before proceeding. 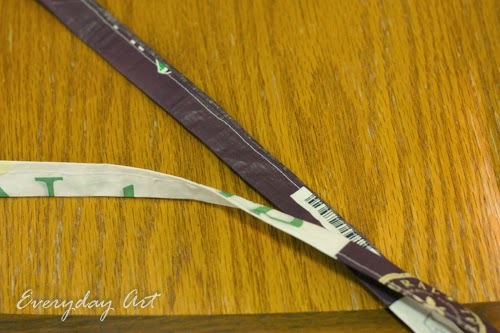 It worked fine, but I think wider straps would be better, so DON'T cut them less than 3 inches wide. Keep them around 4 to 6. 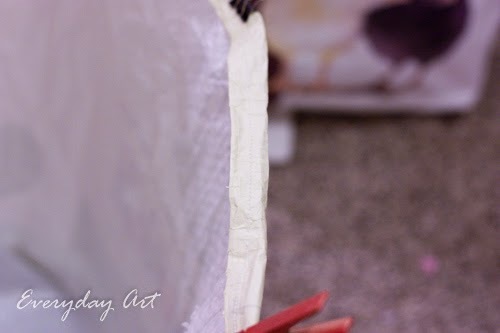 Anyway, fold it in half lengthwise just to make a center crease. Now unfold it. 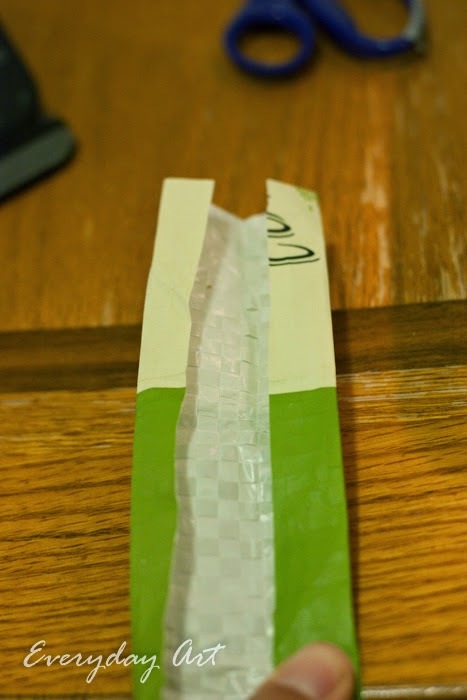 Now you will want to fold both edges in towards the center line and crease it again as shown below. 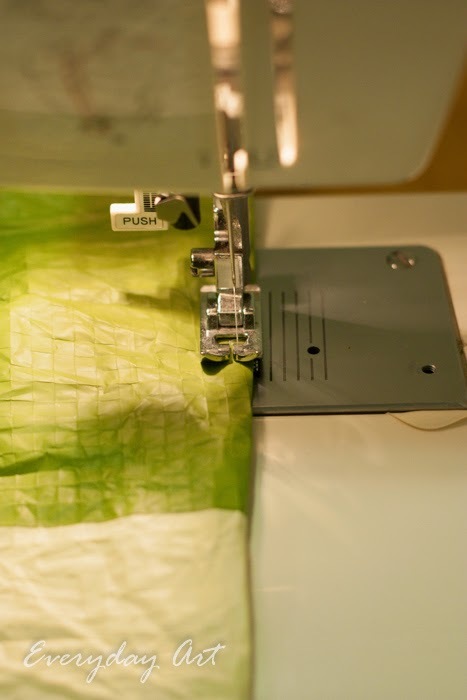 Once you have done that, you may now sew it together with the seams on the inside (obviously). See how skinny mine are? They are fine, but like I said, don't cut them less than 3 inches wide to start with. Step 9. Now, insert the handles. 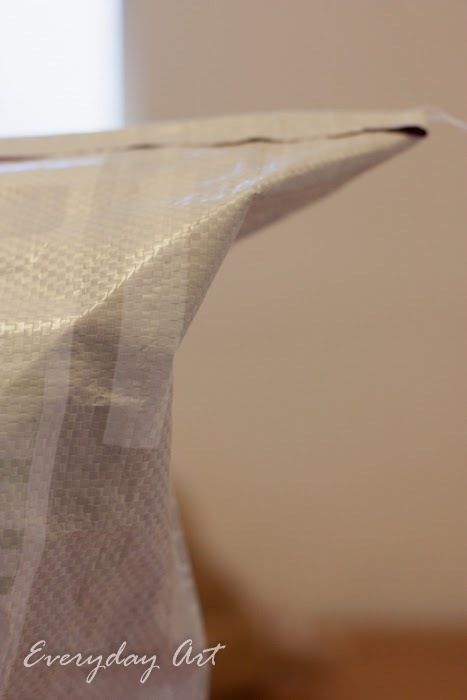 Take one end (good side facing out) and stick it up inside the inside top seam as shown. 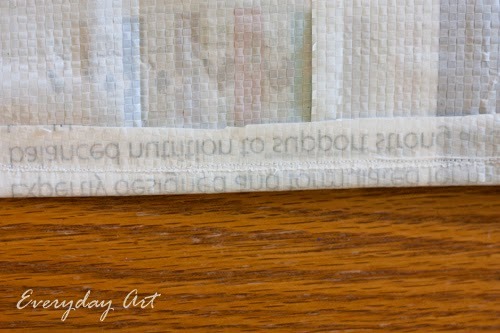 Fold it up as shown, then sew it securely in place. I sewed an X shape with a box around it for good measure. And now you are finished! 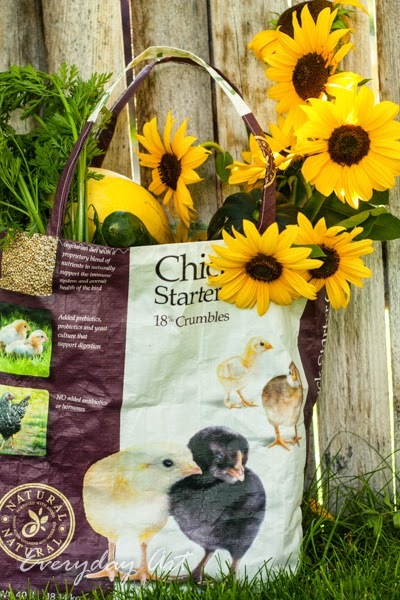 You have a handy-dandy cute little market bag out of your chicken-feed bag. This is so cute. I love the little chicks on the bag! Great idea.